2" aluminum screw posts are great for binding large books. These sturdy aluminum posts are available in a wide variety of sizes and can be extended almost indefinitely. If you want extra security for your large books, a drop of LOK-TITE will keep the screws from loosening under heavy use. If you need a permanent binding, a drop of super glue will make the assembly permanent. Be very certain that you want to do this before you assemble your book, since it will be impossible to unscrew the posts once the glue sets. The post length is 2" and the diameter is 3/16". The post length is the maximum binding thickness (inside length.) We recommend that you measure the total thickness of the materials that you are binding to obtain the best fit. 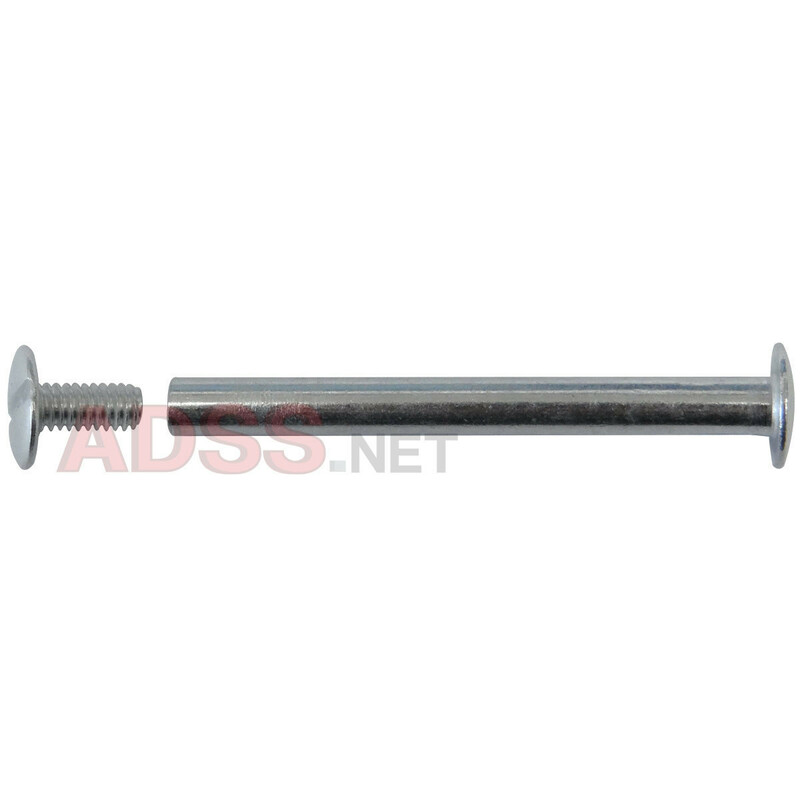 We also recommend that you punch or drill a 1/4" hole in your documents to accept these posts. Posts are 3/16" diameter. 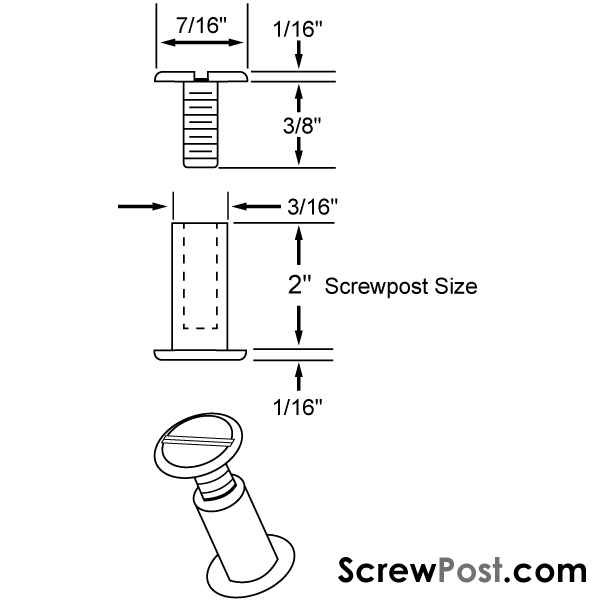 The overall length of a post with the screw installed is approximately 2-1/8".